Today all the instructors working in the DruSkiSchool system have international certificates of national associations, members of the International Ski Instructors Association (ISIA). What qualification must an instructor have? DruSkiSchool system demands special training. The instructor’s qualification shall comply with the international standards. There are two reasons for that. 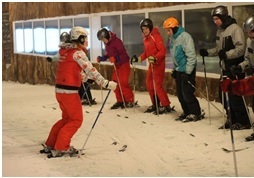 Firstly, the European approach to the ski and snowboard training is effective, safe and very qualitative. Secondly, the Austrian methods of teaching which is the basis of the DruSkiSchool system requires relevant skills. 3. Point out mistakes and explain how to correct them. Herewith, contrary to difficult physical trainings the training process with a professional instructor will be easy and joyful. A good instructor will never overload you and will stop the lesson if he feels you are tired. Joyful process of learning skiing or snowboarding that is what a real professional gives you. Shall an instructor be a professional athlete? Instructor can be a professional racer, but a racer cannot be an instructor, unless he has been specially trained. It is clear that if your instructor has professional sports background, it will help him to master such skill as demonstration of elements faster, especially in respect to high- level skiing. 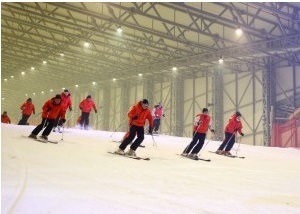 But we have many instructors, who have never practiced skiing and snowboard in sports schools, and it doesn’t prevent them from being popular among clients and win prestigious instructor competitions.